Frank Castillo, a first mate at Biscayne National Park Institute, drops an anchor into the bay at the first stop of the expedition. Scientists explore Divers Paradise Reef, one of two UM coral nurseries in Biscayne Bay. A scientist jumps into the waters of Biscayne Bay during the expedition. Captain Hans Bockelman studies a map of Biscayne Bay. They call themselves the coral whisperers: a global band of scientists working together to save the world's coral reefs. Several of the scientists were recently in Miami to study the coral reefs in South Florida over the course of a two-day conference with the Pew Marine Fellows Program. 'Coral whisperers' look for genetic clues among reefs in Biscayne Bay. Their research—from labs in Hawaii to Boston and Belize—comes at time when the combined impacts of ocean acidification, water pollution, and climate change, among other stressors, threaten nearly 75 percent of the world's coral reefs. On an expedition last June, seven of the scientists crowded onto a small, open-rib boat as it sped across the waters of Biscayne Bay, part of the third largest coral reef in the world. "My work is Dr. Doolittle meets CSI," says Robert Richmond, an alumni of the Pew Marine Fellows Program and a professor at the University of Hawaii at Manoa. Richmond and the other coral whisperers take the time to get to know each coral species along the Great Florida Reef and in other places around the word, studying them down to their genetic makeup. By figuring out which species are stronger, or more resilient against environmental stressors, they then work with those species to build more resilient reefs. "It's like a Rubik's cube. You’re looking to solve multiple sides simultaneously to figure out the solution," says Dalton Hesley, a Senior Research Associate in a coral reef restoration lab at the University of Miami. But in their work, scientists can’t throw all of their efforts into creating one genetically-modified super-coral. "What that causes me to worry about is [the possibility] of the Irish potato famine of coral reefs," says Richmond. Like when mold wiped out the only variant of potato in Ireland in the 1800s, if an unpredictable disease attacks a reef populated with just one species of coral, Richmond says, it could turn into a graveyard overnight. 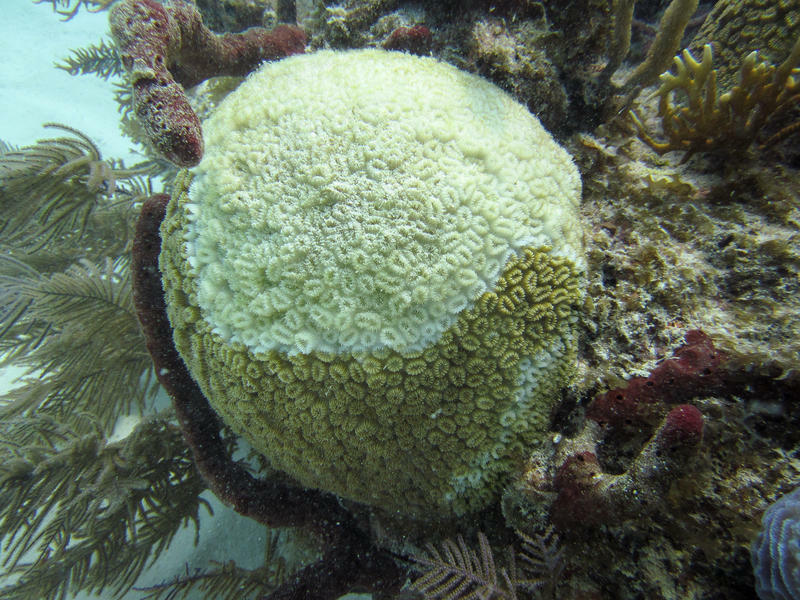 Katey Lesneski, a Marine Biology Ph.D. candidate from Boston University and a scientist on the expedition, saw firsthand how varying genes caused corals in Biscayne Bay to react differently to the same stressors. "One colony would be completely dead, one would be exhibiting partial death, and yet another colony right next door would be completely healthy," says Lesneski about what she saw underwater. So that an entire colony can be resilient and be conserved, scientists are working to increase genetic diversity within coral neighborhoods. During the expedition, Hesley took the scientists to one of two UM-operated underwater coral nursery sites in Biscayne Bay. The area is home to fast-growing branching corals known as staghorn coral. The goal of both nurseries is to create a sustainable source of healthy coral colonies to use in future restoration activities. To some, the site looked like a nautical cooking show. "The coral kind of looks like sugar cookies, with kisses in the middle, it just looked like they were baking cookies underwater," says Frank Castillo, a first mate for the Biscayne National Park Institute, who facilitated the expedition. Yet despite the varied efforts, global forces threaten even the most genetically diverse reefs. Lesneski is particularly worried about climate change, calling the ocean a magnet for carbon dioxide and heat. "Even if we were to stop all global carbon emissions today, for many decades to come, the ocean would actually continue to absorb carbon dioxide that’s currently in the atmosphere," Lesneski says. Because environmental stressors are only going to increase, some scientists are mimicking those apocalyptic symptoms in a lab. "It’s kind of tough love," says Andrew Baker, a scientist on the expedition and a marine biologist at the University of Miami. He is a pioneer in the stressing technique that uses algae to revive hardier, more resilient corals. Baker is toughening up the coral so they can continue to do what coral whisperers and other environmental activists believe coral does best: provide natural benefits to society. Richmond, one of the Pew Marine Fellows, says natural living reefs protect shorelines against storm surge better than seawalls. The beauty in that, he says, is simple. "You don’t have to invest in it," Richmond says. "All you have to do is protect it." 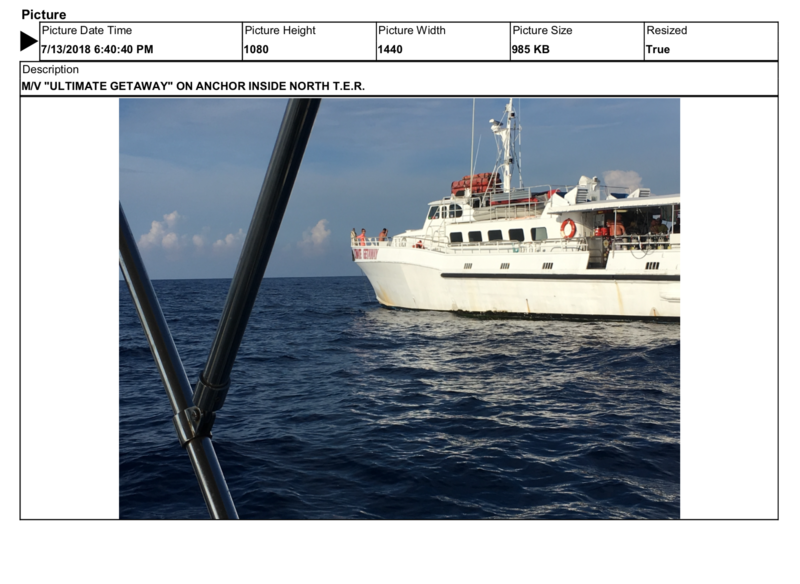 The captain of a charter boat carrying government scientists on an environmental research cruise near the Keys has been cited for violating environmental regulations. At Mote Marine Lab's Center for Coral Reef Research and Restoration in the Florida Keys, Joey Mandara is like a baby sitter. But instead of children he tends to thousands of baby corals, growing in large, shallow tanks called raceways. Mote has been doing this work for five years, raising corals from embryos into adult colonies, then planting them on Florida's reefs. Now, the emergence of a new, debilitating coral disease makes his work more important than ever. Sofas, refrigerators, pipes and lobster traps all wound up littering the Keys reef and backcountry flats after Hurricane Irma blew through in September. 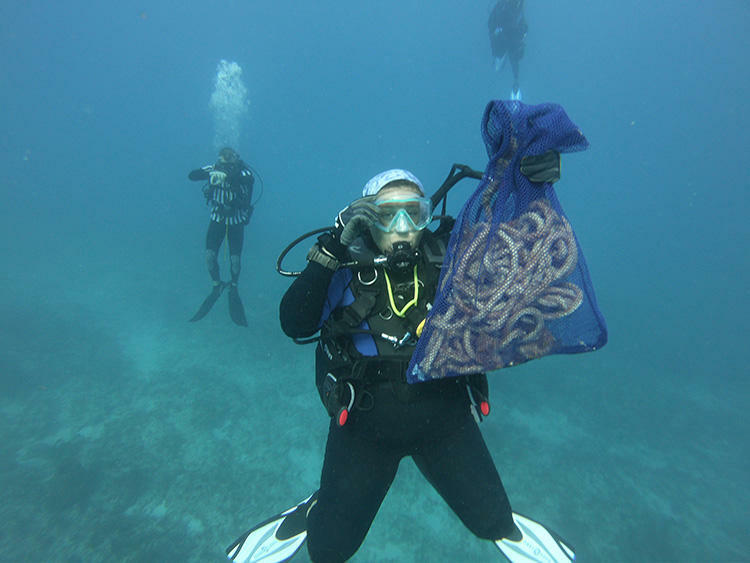 Now the Florida Keys National Marine Sanctuary wants to deploy volunteer divers to remove the debris.